Sat Nam Fest, at its heart, can also be thoughts about as a music festival. Of course, the Kundalini Yoga practice, the spiritual nourishment, and the conscious lifestyle remain stronghold prominent features. But we love festival-goers to enjoy this as an immersion into the sacred music and sound experience. 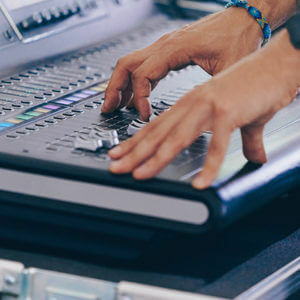 Perhaps you’ve been to popular music festivals such as Coachella or Lallapalooza, where enormous crowds share enthusiasm for top musical performances from artists of various genres. Like these festivals, Sat Nam Fest offers top musical talent. However, Sat Nam Fest focuses on world / new age / sacred genre music that is especially fitting for use to raise consciousness up to sacred vibrations. This year there is as radiant a line-up of musical presenters as ever. One core development is that this year Sat Nam Fest is offering more options than ever before. The festival is growing. This year there will be two to three music performances happening at once; this means festival attendees have more tough choices to make. Please see the online schedule. 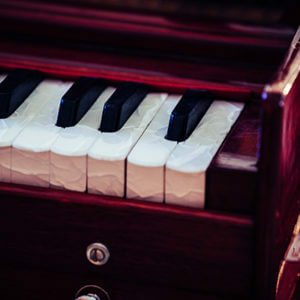 Wednesday’s Woman as Healer workshop will have music by Sukhdev Jackson of Aykanna. Thursday live music starts early. The Sadhana mantras start around 5 AM, with Hansu Jot Singh. After Sadhana, attend the Gurdwara service for sacred live kirtan, also with Hansu Jot. 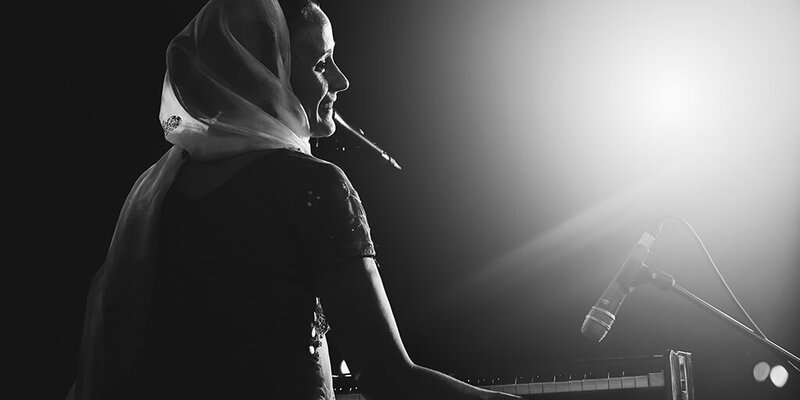 Later that morning, in the Sat Nam Pavilion, Ajeet Kaur will fill her class with music and lead us through teachings about the Ancient Art of Healing. Also, in the morning, on the Sanctuary stage Jaya Lakshmi and Ananda will be accompanying Kia Miller’s class in the Sanctuary. Later, Akasha’s class will also feature live music with Jaya Lakshmi and Ananda; so if you miss them the first time around, you get a second chance. By evening, relax at two concerts Aykanna, followed by more Jaya Lakshmi and Ananda. Thursday night, get cozy in Noble Hall; there will be an all-night-long gong concert with Crown of Eternity. There is more not mentioned here, but the whole day will be a feast of sacred music and sound! Friday morning will feature the beloved Jai-Jagdeesh singing the morning Sadhana mantras. After breakfast, attend a class / concert with Mirabai Ceiba in the Sat Nam Pavilion to take you through an experience of the Art of Deep Listening. After that, Kia Miller teaches to the accompaniment of more Jaya Lakshmi and Ananda. After lunch, you have a tough choice. You can attend Ramdesh’s Body Temple class with music of Ashana — her crystal bowl compositions carry us to angelic realms. Or, join Sirgun in the Sanctuary for a deeply moving concert. A third choice will be the live music of Sukha accompanying Simran Kaur and Guru Prem’s class about bringing new awareness to your practice. That night, enjoy the live concert with Guru Ganesha Band followed by Ajeet Kaur. Simultaneously, Noble Hall will offer intimate experiences with the sound healing of Crown of Eternity followed by more Ashana. With so much high vibrating sound current and frequency, please be warned, you may feel like you are able to lift right off the ground and float on air! Now, that’s a joke, sort of. Saturday, the Aquarian chants will be sung by Jaya Lakshmi and Ananda. 8 AM yoga with Tommy Rosen will feature live music of Guru Ganesha Band followed by Krishna Kaur’s class with live music by Aykanna. Meanwhile, in the Sanctuary there will be a class with live music of Ajeet Kaur followed by an afternoon concert with Hansu Jot and early evening Healthy, Holy, Happy hour with Feather and Dot. This day’s offerings in Noble Hall include Gurdwara kirtan with Dharm Singh, music of Sirgun, Ashana and another all-night gong concert with Crown of Eternity. The sound current will be kept up continuously to inspire you to continually keep up. Sunday, the Aquarian chants will be sung by Jai-Jagdeesh. Guru Ganesha and Mata Mandir Kaur will sing Gurdwara kirtan. Krishna Kaur will be accompanied by Aykanna for an uplifting 8 AM yoga class. Meanwhile, in the Noble Hall, there is also Feather and Dot playing at a Dr. Wendy Harris and Alice Fulks Spiritual Warrior experience. The list of musical offerings goes on, so please review the online schedule and plan ahead. But even if you prefer to abandon plans and go with the flow, no matter where your Sat Nam Fest carries you, you will be sure to enjoy a rich and deep experience of the Sacred Sound Current with a variety of some of the most beloved sacred music artists in the world today. Sat Naam!